Boil tortellini according to package instructions. Drain and allow to cool completely. In a medium sized bowl, combine pesto, lemon juice, and olive oil. Toss with cooled tortellini and mozzarella pearls. 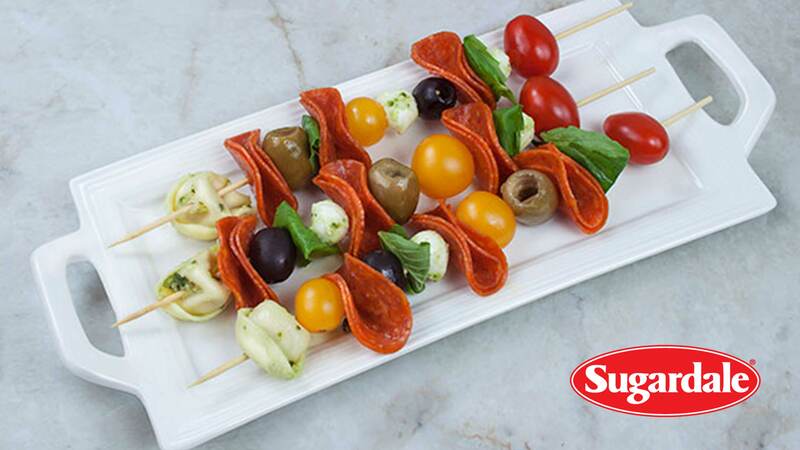 Assemble each skewer using 6 slices of Sugardale pepperoni, 2 tomatoes, 2 olives, 2 basil leaves, 2 mozzarella pearls and 2 tortellini.